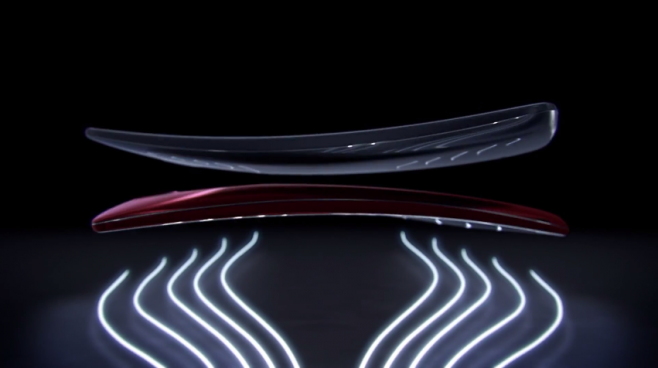 LG has released a video of official introduction to G Flex 2 , which summarizes the winning points of this smartphone, they see in the first place the pronounced curvature of the display, it is useful to favor the grip in hand that the use of content, and back cover self-repairing , changing to that of the previous model and can cure itself many more scratches received from the body. The video then continues reciting a bit 'all the technical highlights of G Flex 2, starting with the Qualcomm Snapdragon processor 810, through the camera with optical stabilizer, up to 3,000 mAh battery. We are eagerly waiting for the device to release and to get hands on!